You might enjoy this book if you like: World War II fiction, clever mysteries, shows like Upstairs/Downstairs. 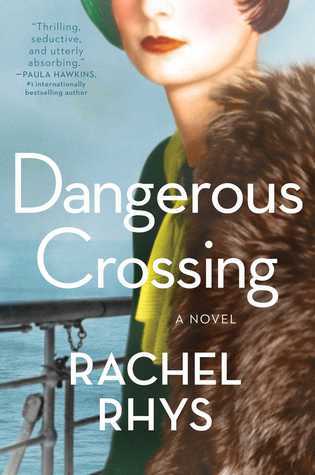 1939: Europe is on the brink of war when young Lily Shepherd boards an ocean liner in Essex, bound for Australia. She is ready to start anew, leaving behind the shadows in her past. The passage proves magical, complete with live music, cocktails, and fancy dress balls. With stops at exotic locations along the way—Naples, Cairo, Ceylon—the voyage shows Lily places she’d only ever dreamed of and enables her to make friends with those above her social station, people who would ordinarily never give her the time of day. She even allows herself to hope that a man she couldn’t possibly have a future with outside the cocoon of the ship might return her feelings. But Lily soon realizes that she’s not the only one hiding secrets. 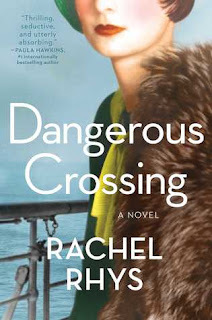 Her newfound friends—the toxic wealthy couple Eliza and Max; Cambridge graduate Edward; Jewish refugee Maria; fascist George—are also running away from their pasts. As the glamour of the voyage fades, the stage is set for something sinister to occur. By the time the ship docks, two passengers are dead, war has been declared, and Lily’s life will be changed irrevocably. Have you ever read a book that worked in a number of ways but was just fundamentally flawed enough that it left you scratching your head? Well, if not, try this book! I actually had to make a pro and con list to figure out what I thought of this book and, even now, I'm a bit ambivalent on it. Because I'm still a bit confused about my feelings, I'm just going to recreate my lists here.. I was actually surprised by the end of this book. I nearly always figure out how books are going before the reveal, so the fact that I had no clue is no small advantage for this book. The world of just before the outbreak of World War II is drawn here with great detail and is wholly fascinating. It is also not a little unsettling that many of the attitudes of that time are prevalent now. Along with the setting of the boat, Rhys does an excellent job of describing the ports of call, including Gibraltar, Cairo, Ceylon, and Australia. Each of these are very unique places and Rhys brought them all to life. I really enjoyed the main character, Lily. Frankly, she's not the brightest star in the sky as she makes some really dumb choices--but I also understood why she made those choices. And, frankly, I cared enough to want to reach into the book and knock some sense into her. The contrast between the different classes on the ship are striking. Lily and many of the other characters are sailing in basically second class. There is a class below them, but there is also the first class and Lily, through her relationship with Campbells, walks between these two classes. There are really two whodunits here, and one is sort of just blown off--which I found especially disappointing since it was the one with a build up and, frankly, the more interesting of the two. I was never really sure what kind of book this was. Yes, it is historical fiction--but that's not an exclusive genre. It was paced like a mystery, but it was structured like a thriller. Yet, it lacks that tension needed for a successful thriller. I suppose I should define what I consider the difference between the two genres: In a mystery, something happens and then the characters need to find out what happened. In a thriller, there is a drive towards something happening (although there may be an inciting incident which could put the story in the mystery category as well). Frankly, this book didn't fit into either of these categories...and not in a "I'm just different" way. Instead, it felt like it tried to be both and ended up being neither. So, from a number standpoint, there is more to recommend this book than not. However, my "cons" have much more of an impact. Honestly, I just don't know what to think. All I can say is that, if this book sounds like something you might find interesting, give it a try. And, when you are done, let me know what you thought of it.